2.BOS is registered in the Eco-Management and Audit Scheme (EMAS). 3.Its products are regularly inspected according to RAL-RG 611/5. 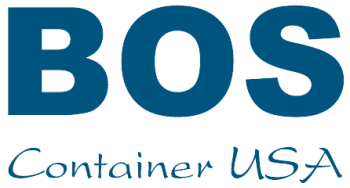 BOS GmbH has invested in a safe working environment to ensure no one's health at the factory is compromised. This philosophy in safety carries over from production to concerns for its clients. - BOS GmbH complies with BS OHSAS 18001:2007 Industrial Safety Management. - Is evidenced by low turnover amongst the staff and low accident rate at the factory. - BOS GmbH complies with DIN EN ISO 9001: 2008 Quality Management. - BOS GmbH complies with DIN EN ISO 14001: 2009 Environmental Management, and is registered in the Eco-Management and Audit Scheme (EMAS). 5.All BOS GmbH products are designed to make life more efficient and save space. The Eco-Management and Audit Scheme represents a new type of environmental policy instrument which increases the responsibilities of companies regarding their activities and the environmental impacts. Registering of BOS GmbH in the Eco-Management Audit Scheme validates the goal for environmental protection. This obligates us to constantly monitor and improve our environmental performance and to publicize our results. Reg. no. de-156-00086. BOS environmental statement 2010. Ecoprofit is an ecological project for integrated environmental technology, a project which is part of Agenda 21 for economic strengthening of businesses with the North Rhine-Westphalia region of Germany. The focus is on environmental protection and improvement of the environmental situation within the region thus facilitating cost reduction.